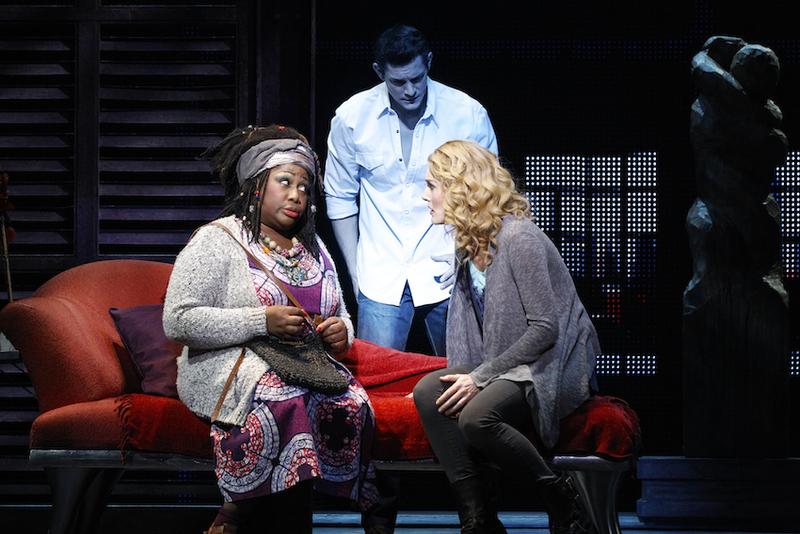 A series of music video clips come to life on stage, Ghost the Musical caters to the attention span of the YouTube generation. Thankfully, the talents of the terrific cast provide the heart and soul to go with the slick, glossy staging. A hit when it opened in London’s West End in 2011, Ghost the Musical was originally announced to open in Melbourne in 2013 but producers backed out after the show’s lukewarm reception on Broadway in 2012. It is clear why the original London producers have persevered with bringing the show to Australia; the blue chip title has instant recognition and the pop-infused score is an attraction for a younger theatre crowd. 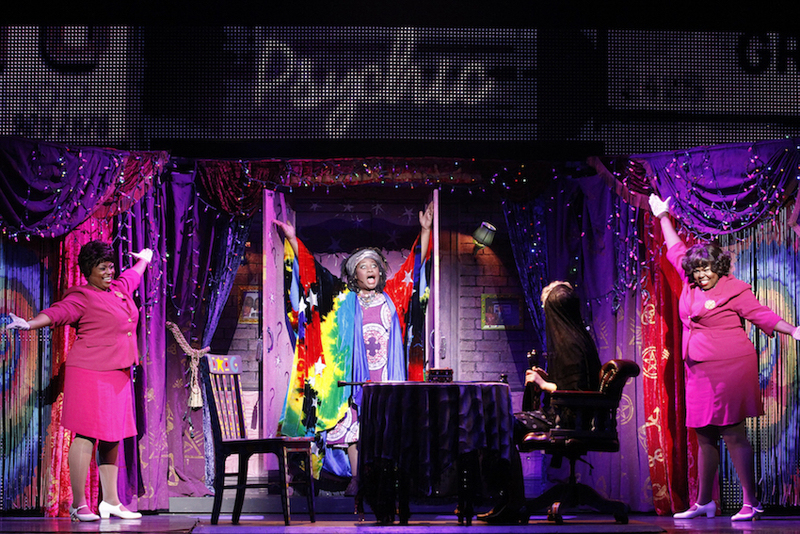 The current staging maintains the changes made for the Broadway production, in which the jarringly jaunty soft-shoe ghost ensemble number “Ball of Wax” was replaced with “You Gotta Let Go” and Sam’s favourite poster was changed from Princess Leia to Barbarella. The production is on a suitable scale for the massive Regent space, but it is disappointing to note that the Broadway orchestra of 17 musicians has now been reduced to an “orchestra” of seven players. Adapting his Oscar-winning movie script for the stage, Bruce Joel Rubin makes the decision to update the setting to current times but does not see this through. Characters talk on landlines, banks uses paper account cards and a Brooklyn loft is discovered at $700 per square foot. 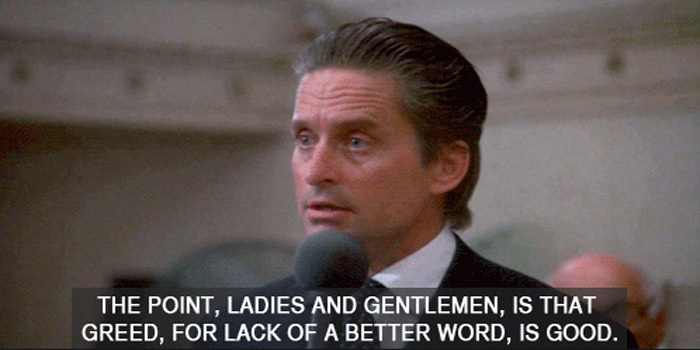 In this post 9-11 age, Wall Street is no longer populated with greed is good yuppies. Still, romance is timeless, and the heart of the story lands a solid emotional punch, with a healthy dose of humour along the way. Director Matthew Warchus keeps the action swift and cinematically fluid. Aided by illusionist Paul Kieve, Warchus creates showy special effects for the supernatural story elements. A combination of projections and thin, light video screens (with images by Emily Harding) support the nonstop stage movement, and the images are large enough to be seen throughout the expansive auditorium. Hugh Vanstone’s lighting design is a significant feature of the production, enhancing the pop concert vibe and integral in facilitating the illusions. 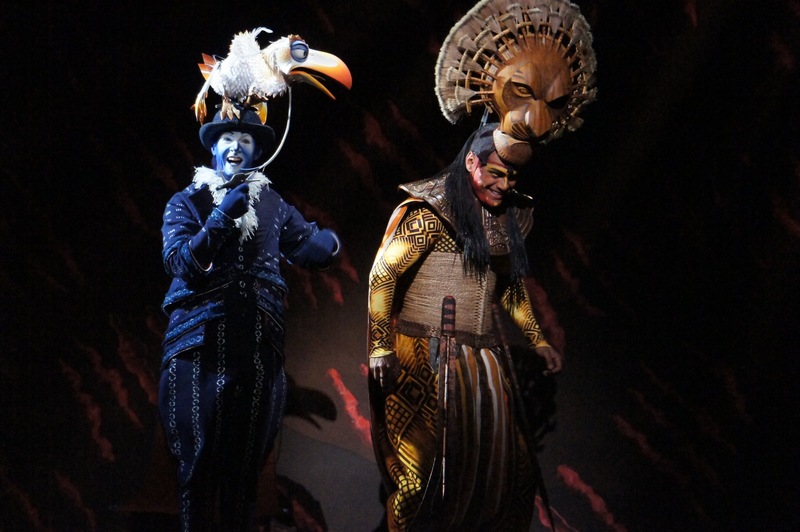 A key effect is the portrayal of Sam as a ghost, which is achieved by keeping him in a pale blue light no matter what the lighting on the rest of the stage. Dave Stewart’s score has a modern, pop music sound that makes it accessible and enjoyable on first listen. The lyrics, by Rubin and Glen Ballard, are not as successful, with many songs grinding the storytelling to a halt. With plot progression not occurring through song, the chorus becomes redundant. 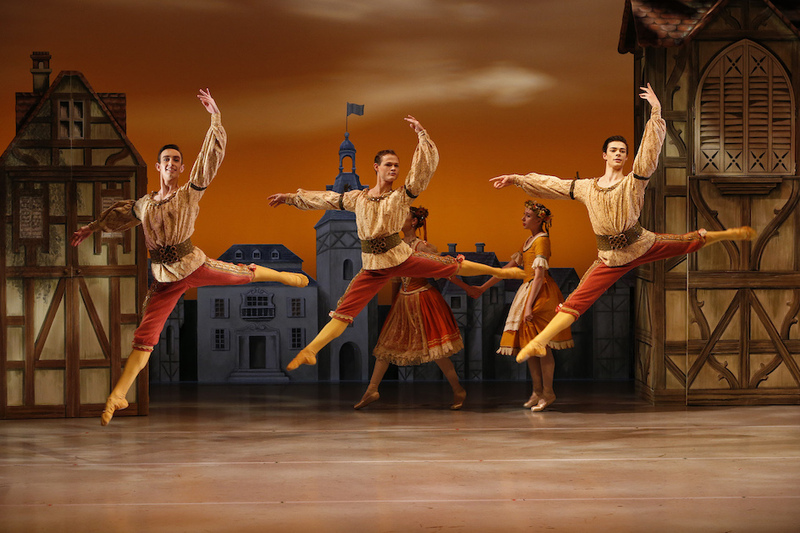 The ensemble is filled with highly skilled triple threats, yet they are reduced to moving bodies. The chorus has no character work at all, a processed sound to their singing, and, worse, lame choreography (by Ashley Wallen) that is a joyless series of jerky, dance school* moves. Moving on to what does work in this production and it is all about the cast. In a role seemingly tailor-made to her talents, Jemma Rix’s flawless voice soars through song after song. Rix portrays Molly’s vulnerability without making her a pushover and conveys her profound grief without making her a sad sack. Rix’s commitment to the supernatural elements of the story is the key to allowing the audience to suspend their disbelief. Already possessing a solid profile, this performance moves Rix to true leading lady status. 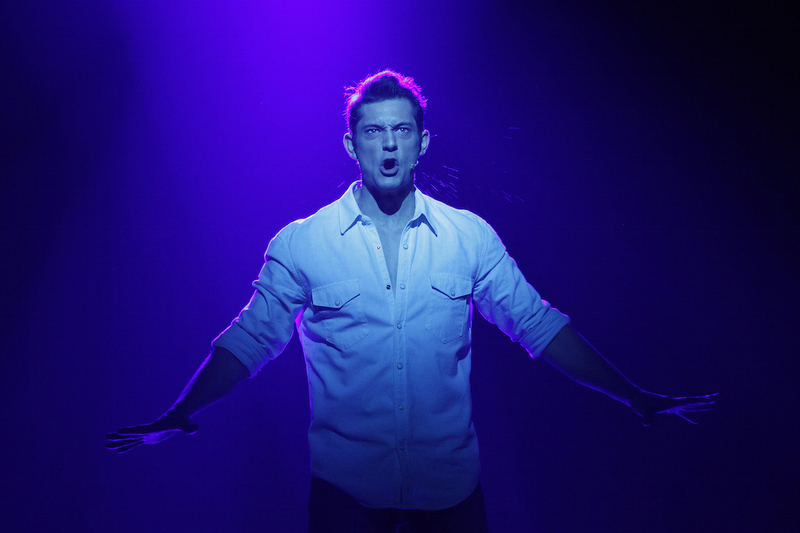 It comes as no surprise that Rob Mills is genuinely good as dear departed Sam Wheat. 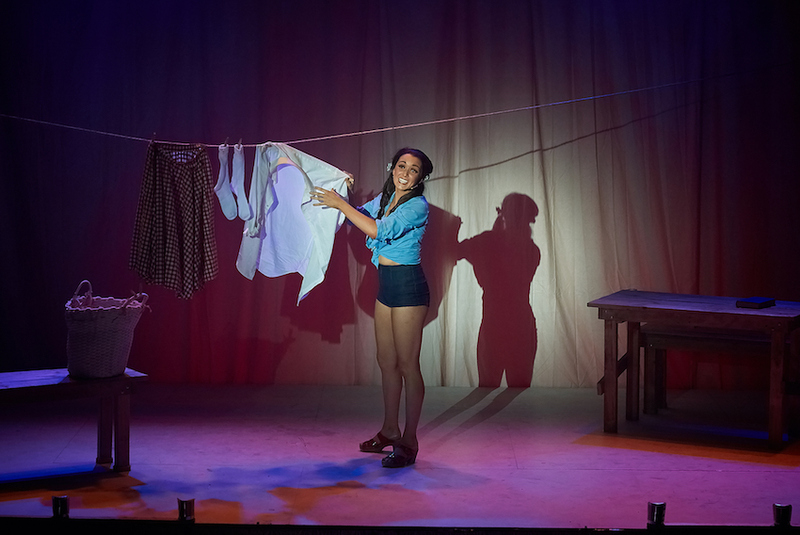 On stage for almost the entire show, Mills’ likeability provides an instant connection to Sam and this appeal only increases as the night proceeds as he deftly balances the character’s masculine and sensitive sides. Sam’s songs are also an ideal match for Mills’ vocal talents. Mills and Rix enjoy strong chemistry, and Sam’s quest to avenge his murder takes on a compelling drive as the story moves to its moving resolution. Offsetting the romance and tears is the hilarious work of Wendy Mae Brown as unwittingly talented psychic Oda Mae Brown. Already well experienced in the role, Brown has sensational comic timing and line delivery, and she sings up a storm in Oda Mae’s gospel-infused numbers. Brown gives a sassy, larger than life performance whilst also grounding the character with humanity. London actor David Roberts steps in as deceitful banker Carl for the Melbourne season, a role he has played in UK and Asian tours. Roberts gives an assured, natural performance, showing the greed and desperation that bubble beneath Carl’s slick surface without making him a one-dimensional villain. Rising talent Ross Chisari makes a strong impact as skeevy hood Willie Lopez. David Denis brings a powerful presence as Subway Ghost, and makes the rap stylings of his number “Focus” sound naturally authentic. Ghost is the perfect date musical. 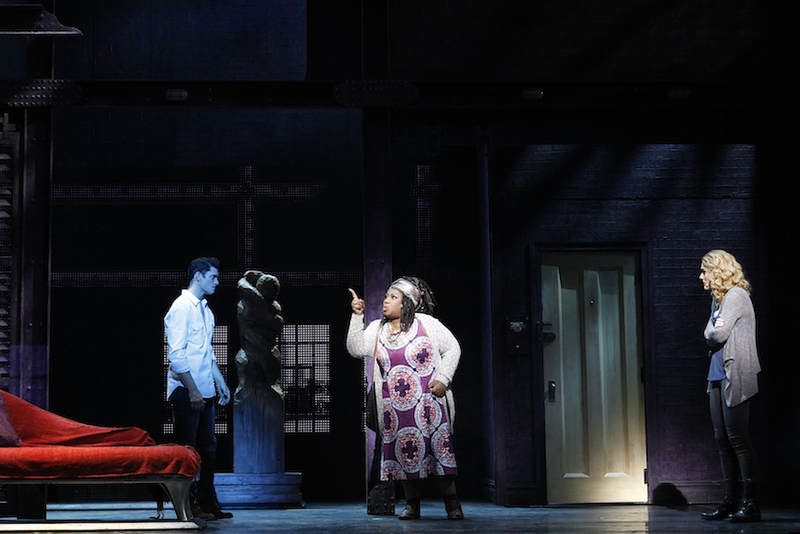 Ghost the Musical plays at Regent Theatre, Melbourne before continuing its tour to Sydney and Perth. 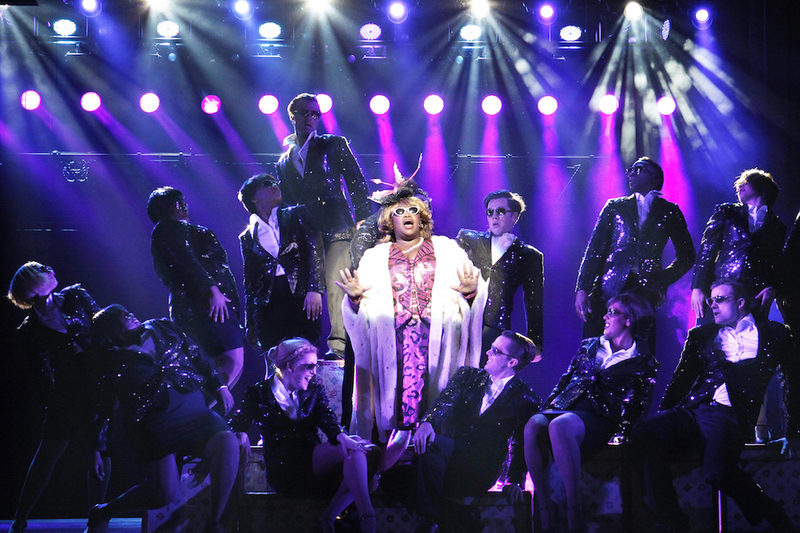 Man in Chair has reviewed Ghost the Musical in London and Broadway.